Just like to wish everyone reading a great year ahead. May all buhnies be blessed with loads of HAY & LOVE! 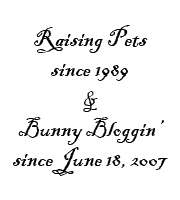 It’s been a great year 2008 for TLR. May we keep the old and find new friendship in buhnies! And my little girl also wanted to wish everyone too! Look out for the BCSH Clothing line hitting departmental stores worldwide. She’s a self-made mogul in the making. LOL! 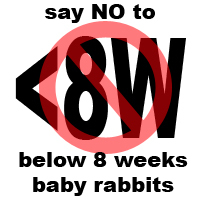 P/S: Advertisement endorsements for both bunnies & baby welcome. 😛 !!! Merry Christmas!! May you be richly blessed in 2009! Merry Christmas, TC and TLR! Whoops, missed this post.. hope everyone had a great Christmas!! I know this is late, but i love looking at the photo of small kid unwraps the giftbox, LOL! But where’s the bunnies? Didn’t they get their boxing day too?